I just had my daughter 2 weeks ago, so I was unable to attend IMATS. My good friend and fellow blogger, Janique of Hergoodybag.com went to IMATS NY on Saturday to cover it for me. Thanks a bunch Janique! 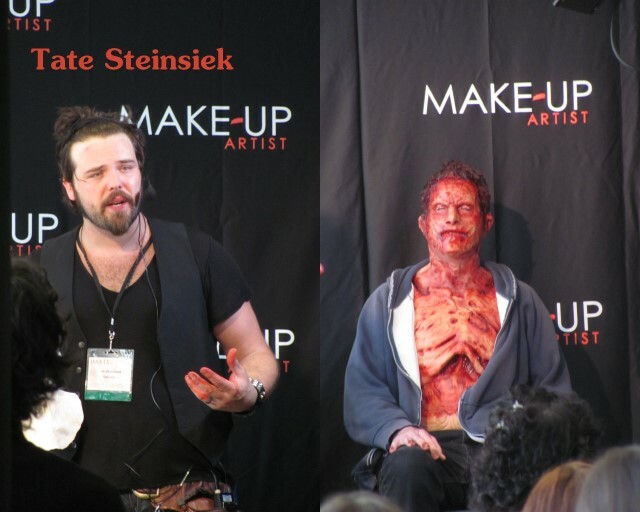 There was also a class Zombies 101: Intro to Creature Creation instructed by Tate Steinsiek. Face Off finalist Tate Steinsiek will discuss quick and easy solutions for creating hordes of the undead. Using multiple models and covering different levels of work with standard make-up and appliances, Steinsiek will demonstrate a range of looks and techniques. One of the most important things that Tate said was to start out with a versatile mold. You should’nt create hundreds of molds for each zombie. 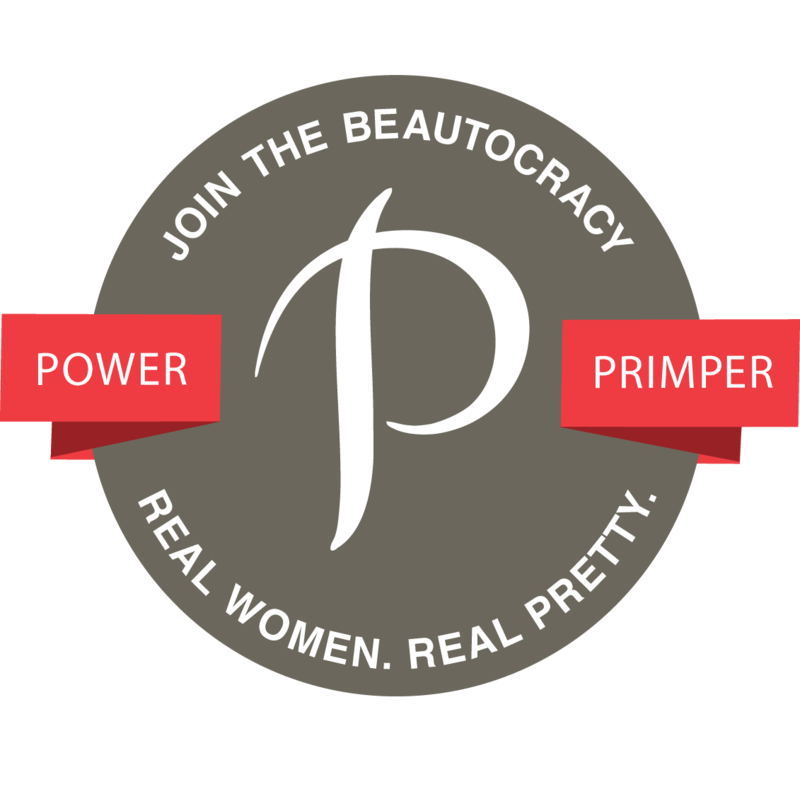 Start out with a basic mold that can be manipulated and this will save you a lot of time. 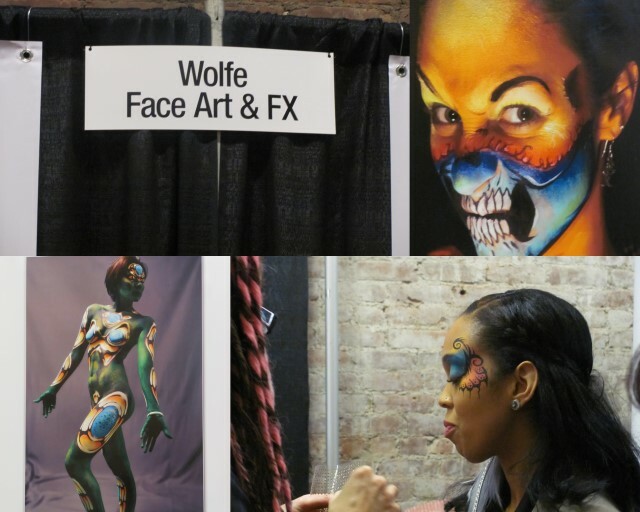 I was truly impressed with the craftsmanship of all the artist from the various FX and Face Art companies. I have the after pic for the mehorn make-up.